It feels like summer here and our kids love making S’mores over the fire pit. I decided to make a new recipe for our friend’s BBQ party. I had the best idea to make S’mores Bars instead of giving the kids the stuff to make S’mores. These S’mores Bars are a cinch to put together. With a golden buttery Graham Cracker crust, gooey marshmallows and melty chocolate chips, these will disappear quickly at your next party! 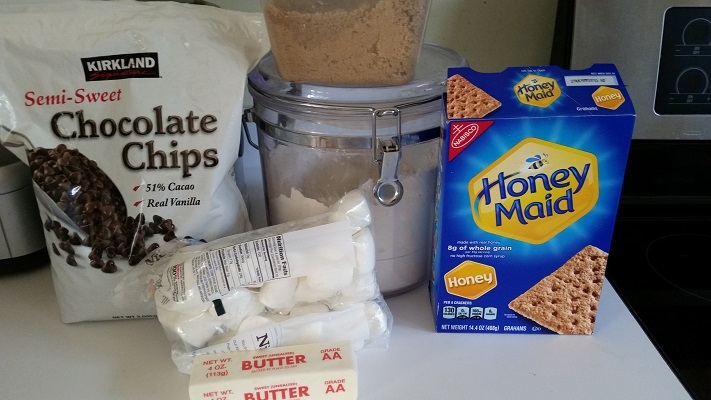 What you’ll need for the S’mores Bars. 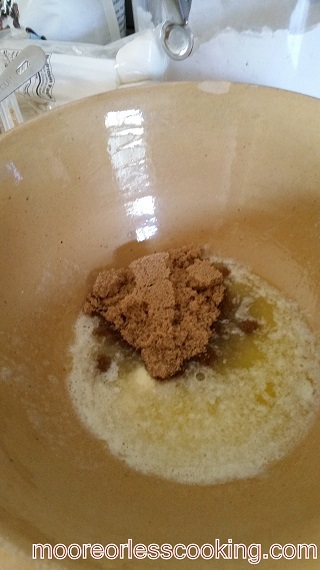 Graham Crackers, Butter, Marshmallows, Chocolate Chips, Brown Sugar, Flour. 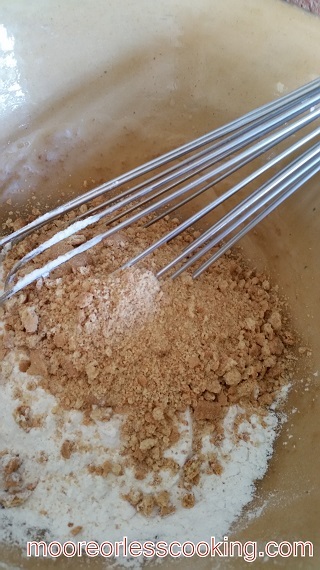 Add Crushed Graham Crackers and flour, whisk together. 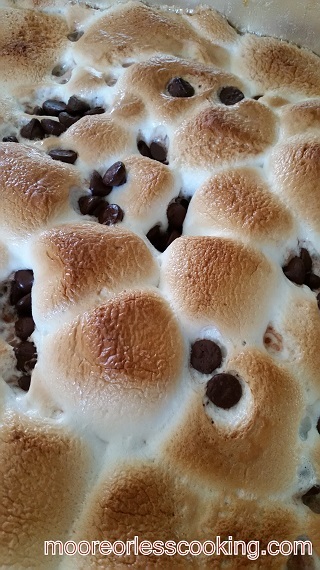 Pat crust mixture in pan with your fingers and place marshmallows and chips over crust. 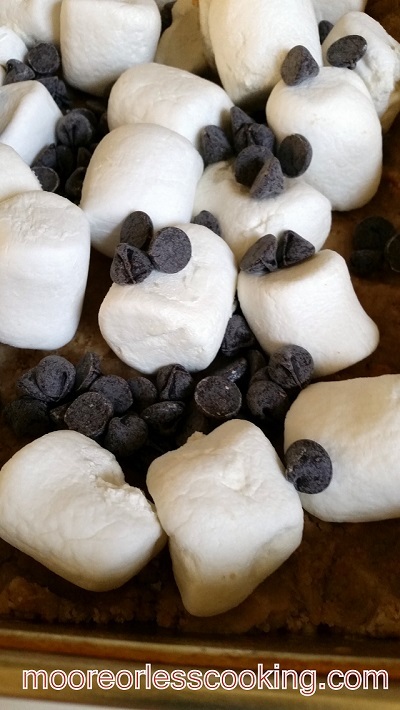 Place in oven and bake until marshmallows are golden brown. Gooey Marshmallows and Chocolate chips over a buttery graham cracker crust. 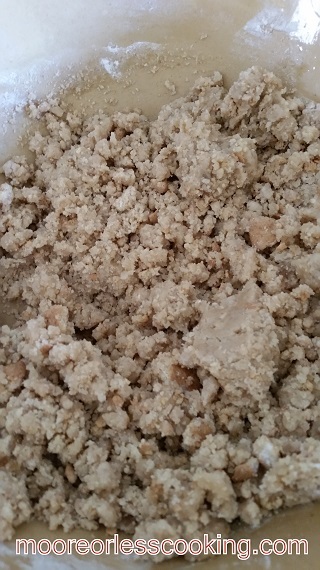 Add combined flour and crumbs; mix well. 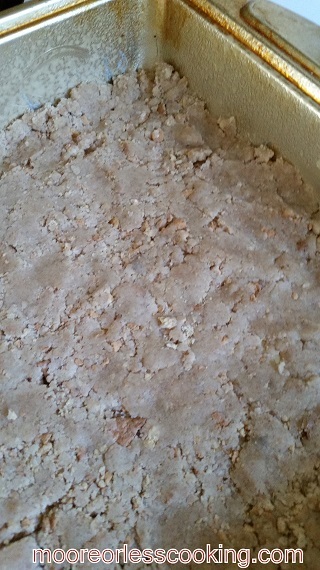 Press onto bottom of greased 9 inch square baking pan. 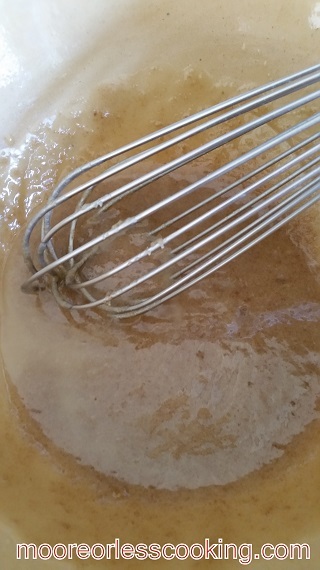 Bake at 375 degrees for 10-12 minutes or until marshmallows are golden brown. OMGosh Nettie, this looks SO good!! This recipe looks SO decadent! I just love it. Impossible to resist to such a yummy treat! Holy moly that looks great! I’m a S’mores-a-holic. What fun. I like how you created this spin! These look amazing and perfect for summer!! Thank you Deb! Hope you get a chance to make them, so easy and disappear quick!! I totally want one of these! They look so good!!!! 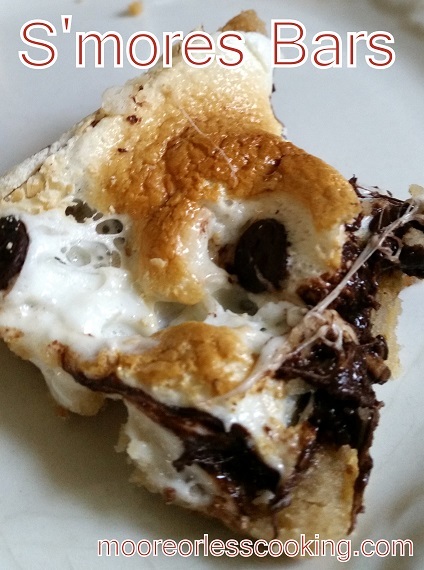 Wow, s’mores are my absolute favorite…I love your photo with the gooey marshmallow.